Florida is home to several charming beach cities. Whether you are looking for a relaxing beachside getaway, or a bustling town full of fun beach bars, this list has you covered. From Naples to Destin, read on to find out which is right for you. 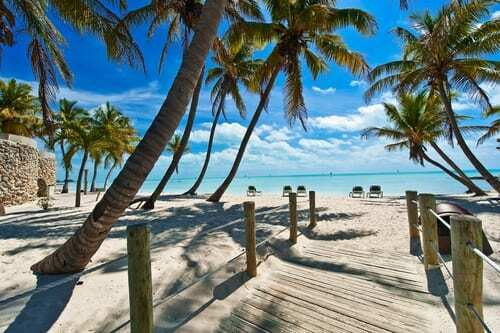 The family-friendly Sanibel Island is located 25 miles south of Fort Myers. 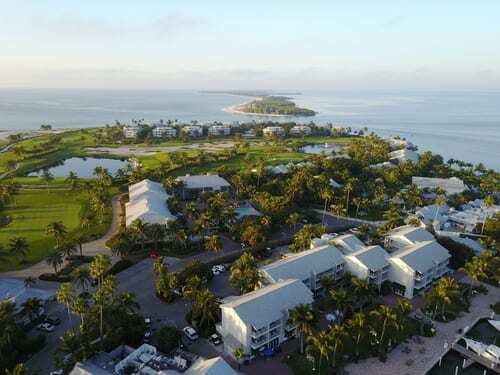 The island packs a one-two punch with its little sister, Captiva Island, a short distance away. Sanibel is known as a “Shell Island”, meaning it is a prime spot for gathering perfectly intact seashells. The shells aren’t the only thing that draw vacationers to the beaches here, though. The long stretches of and and crashing surf bring stunning views and plenty of things to occupy watersports enthusiasts’ time. 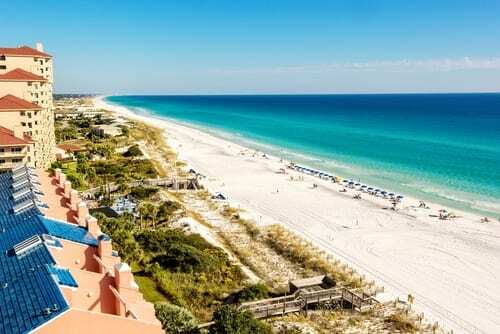 Located in northwest Florida beside the Gulf of Mexico sits Destin, Florida. Destin is known as one of the best places for fishing in all of Florida. In fact, it is sometimes referred to as “the world’s luckiest little fishing village”, due to the number of fish beginners can expect to catch on the water here. Destin is also home to several resorts and amazing shopping and dining options. Nestled on Florida’s famous Paradise Coast is Naples, Florida. Naples has long stretches of white sand beaches and pristine turquoise waters. Besides the stunning beaches, the city has much to explore. It is known for its fine dining and bustling local art scene, plus high-end shopping and luxury hotels and spas. It is also very close to many rustic fishing villages, like the popular Goodland village on the southeast corner of Marco Island, a laid-back city with live music on the weekends. 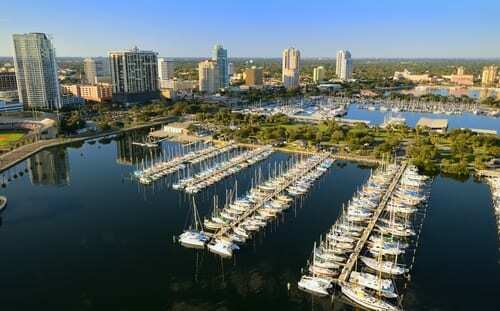 Two stunning beaches on Florida’s gulf coast, in an area known as Tampa Bay, are St. Petersburg and Clearwater. Home to championship golf courses, and beaches with warm, gentle waters that are perfect for paddle boarding, boating, and fishing. Adventure travelers will be right at home here as well, with plenty of opportunities for kayaking and exploring offshore islands. It also has a very creative food scene, distinct to the region with famous grouper sandwiches. Key West is the southernmost city in the continental US, so far south that you’ll feel like you escaped to the Caribbean as soon as you arrive. An electric cultural mix lives here, being as it is closer to Cuba than it is to Miami. Thought it may be famous for the likes of Jimmy Buffett’s Margaritaville, and Hemingway’s wild parties, you’ll find that the real bones of the city lie in its particular Victorian architecture and eclectic group of residents. Call us today at 402-281-3022 to learn more about the stunning beaches that Florida has to offer.